Posted April 15th, 2019 in e-Commerce. Tagged: affiliate marketing, referrals. One of the oldest, most feature-rich and the most stable affiliate marketing solutions available nowadays on the market is Post Affiliate Pro. The first version of Post Affiliate Pro (or shortened PAP) has been developed by a small company at the heart of the Europe, Slovakia, way back in 2004. Back then the company consisted of less than 8 colleagues, who had clear vision – to develop the best product in constantly growing industry, which would satisfy the needs of huge variety of customers. Fast forward time to 2019, when the product celebrates its 15th anniversary and you have the #1 affiliate software reviewed by several hundreds of customers worldwide. The software is currently in its 4th generation, built on advanced and robust engine, open environment and customer centricity in mind. 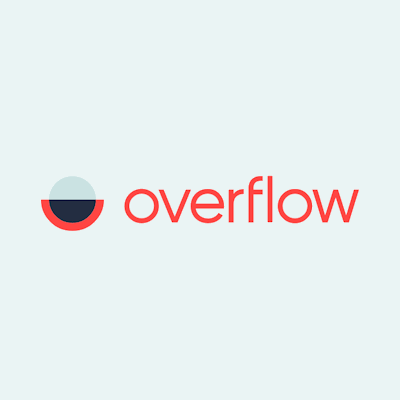 Of course this achievement would not be possible without constant new product updates, great customer support (which relies on help desk software LiveAgent) and devotion of the company behind to stay at the top place and bring satisfaction to the end users. This way the ever growing base of customers could benefit from fresh batch of features on regular basis. Let’s be honest, Post Affiliate Pro relies on the power, the size and on the capacity of your network. The more affiliates your network contains, the higher business profits you can expect in the future. The first home work for you would be then to build your own one and start inviting your affiliates to it. Scenarios, where both of the parties are satisfied are the best one, aren’t they? Easy installation, integration and set-up: 1, 2. 3… 59, 60. Just like that, your account is ready in less than minute and you are ready to set-up all the necessary parts of your affiliate marketing software. We were surprised, that the support team offered us automatically free set-up & integration. This is great benefit for customers, who would like to rely on professionals. Free trial & flexibility: Everything you need to start your account is email address, name and preferred URL. Post Affiliate Pro comes with 14 day free trial period. At the end of it you have a chance to select your preferred subscription – the “Pro” version starts at 97 $ / month. In case you would like to later switch to higher plans, everything is in your hands. Search engine friendly links: Post Affiliate Pro gives you the opportunity to customize the link format exactly the way you want it & like it with several different linking formats. Additional benefit is, that all the links created with Post Affiliate Pro are SEO-friendly. Real-time reports: All data are tracked, processed and displayed in real-time with zero delay. These data include impressions, clicks, commissions, sales…). You will always have the reports at your hand as well as the opportunity to see your program’s performance. Plugins & integrations: Post Affiliate Pro connects with more than 95 plugins and with robust collection of 200+ web based apps. The collection is just a tip of the iceberg of its capabilities. The feature list could go on and on, however, this is not the only criteria, which “is responsible” for the success of the implementation of your preferred affiliate marketing software. The second part of the story is connected with the previously mentioned affiliate network. The last piece of the puzzle consists of your already existing website, its popularity among end users as well as the products, you are trying to promote. Did you put tick to every box of the requirements? Fine, you can move on to the actual set-up. To start your account, the first thing you need to do is head to the official websites and create a free trial account. After the successful login you’ll be greeted (as we were) by initial mail, which gives you the opportunity to handle the integration to the company representatives. We selected it and were surprised in a good way how quick the process was. Free integration is very recommended! If you do not select the integration option, you are forced to do it on your own. This could be an issue for some customer, who are not yet used to the system & UI (which is a bit clunky even with the newest theme) or do not have vast knowledge about affiliate marketing, links, banners, commissions… Definitely integrate your eshop, payment processor and website. Approach your partners with request to place your banners & links on their websites. Make sure you create unique banners for your products, so you can easily track the success rate of them. Sit back, relax and wait for the magic to happen! The UX could use some refresh, which would improve the product usage. Sure, Post Affiliate Pro is definitely not the only affiliate software available on the market, there are other solutions such as LeadDyno, HasOffers, iDevAffiliate, TapAffiliate… Some of them might have similar features, performance ratio, pricing or integrations as Post Affiliate Pro, however, what comes as great advantage of PAP is the number of reviews, satisfied customers and also its history (15 years already on the market since the v1). The best overview of what we are currently talking about can be found on GetApp comparison of selected affiliate marketing softwares. What is good and what is bad? As every available software on the market, also Post Affiliate Pro has some of its strong advantages and some disadvantages. Let’s find them together below! Complexity of the system (could be considered as advantage if you know what to do and where to go). The affiliate marketing industry shows constant growth every year (in average about 10% per year), which is a good sign. 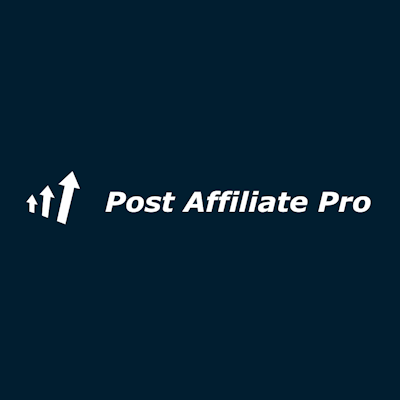 While the market is pretty saturated with different solutions, we would recommend you to go with Post Affiliate Pro, mainly because of the benefits previously mentioned in our review. Your revenue can grow with the right set of tools and PAP is definitely the one, which should be included in your portfolio. Join the club of over 30.000 affiliate programs and start your affiliate marketing initiative.